Verified Black Angus Beef brands have shone recently in competitions on the national and international stage, with NH Foods Australia’s Angus Reserve having outstanding results at the Sydney Royal Show Fine Food Branded Beef Challenge and Warmoll Foods Jack’s Creek Black Angus excelling not only at the Sydney Royal Show Fine Food Branded Beef Challenge, but also in the World Steak Challenge. NH Foods Australia’s Angus Reserve took out silver in the grain fed beef class at the Sydney Royal Show Fine Food Branded Beef Challenge against many top-quality beef brands from Queensland, Victoria, New South Wales and South Australia with a top scale score of 88.83. NH Foods Australia’s Angus Reserve is produced by its own Queensland establishment, Oakey Beef Exports, with the cattle coming from their integrated feedlot, Whyalla Beef, located on the QLD/NSW border. 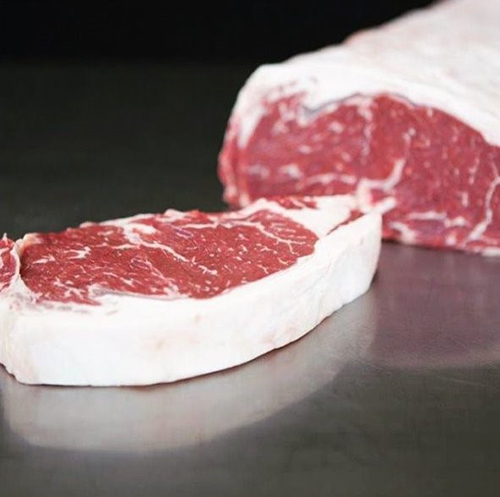 Angus Reserve meets exacting conditions on marbling, age, weight, meat colour and fat colour to guarantee only the highest quality beef is retained. The production process adheres to international quality standards providing peace of mind to buyers and consumers. “Our Angus Reserve has a strong performance history regardless in premiere beef judging competitions both here and overseas having been named overall champion, division winner and repeated gold medalist in Brisbane, Melbourne and Sydney Fine Food Awards, in addition to gold placings at the World Steak Challenge that is held in London each year,” said Andrew McDonald, Export Sales Manager of NH Foods Australia. At the Sydney Royal Show Fine Food Branded Beef Challenge, Warmoll Foods Jack’s Creek Black Angus was awarded a silver medal in the grain fed beef class with a score of 83.67. 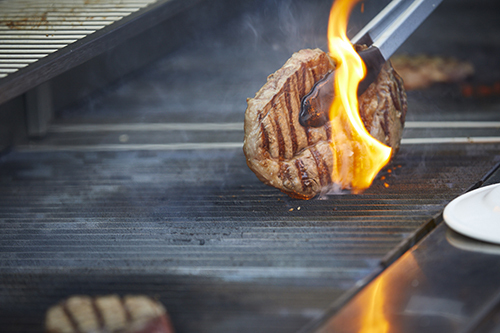 Jack’s Creek Black Angus also earned a gold medal for a Black Angus Sirloin, a silver medal for a Black Angus Fillet and a bronze medal for a Black Angus Rib Eye at this year’s World Steak Challenge. Jack’s Creek Black Angus focusses on marketing high quality grain fed beef with up to a 3+ marble score and a focus on maintaining its renowned consistently exceptional eating quality. Jack’s Creek Black Angus is exported to over 20 destinations worldwide. “We are thrilled to have won the 3 medals from our 3 entries this year. We spent a considerable amount of time selecting our entries and this year had the added hurdle of the ongoing drought to contend with,” stated Patrick Warmoll, Managing Director of Warmoll Foods. Angus Australia Commercial Supply Chain Manager, Liz Pearson explains that Angus Australia’s Brand Verification program, which both NH Foods and Warmoll Foods are part of, exists to provide independently assured and integral Angus brand claim to consumers. This assurance helps build loyalty and confidence for the customer of those brands knowing that 100% of the time, it is Angus. Mr Warmoll, credited the Jack’s Creek Black Angus partnership with Angus Australia through the Verified Black Angus Beef program for the premium quality of their product. Mr McDonald of NH Foods Australia explains the added benefit of competitions like those of RAS Fine Food Branded Beef Challenge is that it benchmarks Angus Reserve against other top, high quality beef products, with the added benefit of being able to guarantee the consumers 100% verified Angus beef. “Our Angus Reserve program is a Verified Black Angus Beef program through Angus Australia as we are of the firm belief that it adds clear credibility to our beef brand against a backdrop of other non-verified Angus branded beef products that operate in the market. For more information regarding the Angus Australia’s Angus Brand Verification program, contact Angus Australia Commercial Supply Chain Manager Liz Pearson on (02) 67734608 liz@angusaustralia.com.au.